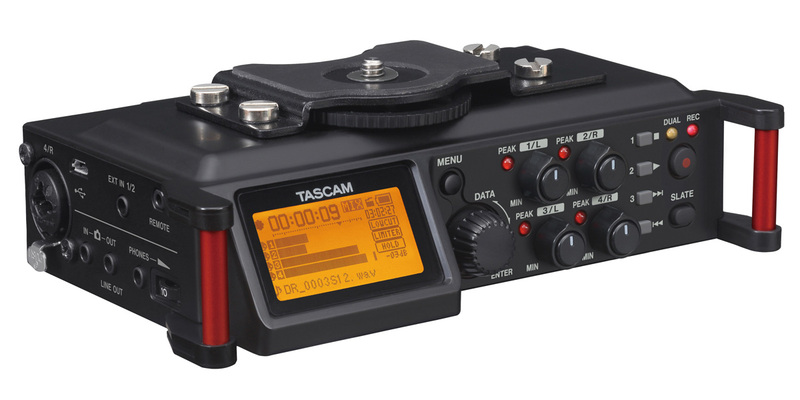 Tascam makers of popular external sound recorders have shown their new DR-70D. 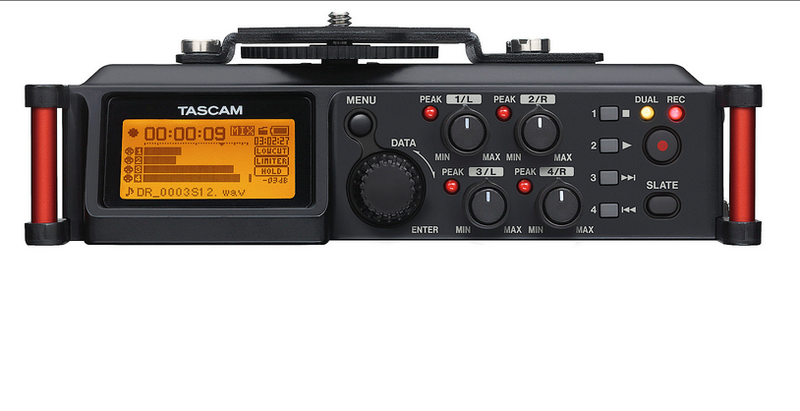 The DR-70D is a compact audio recorder that allows users to create audio recordings in very high quality. The recorder can be mounted directly between a tripod and the camera or on top of the camera. 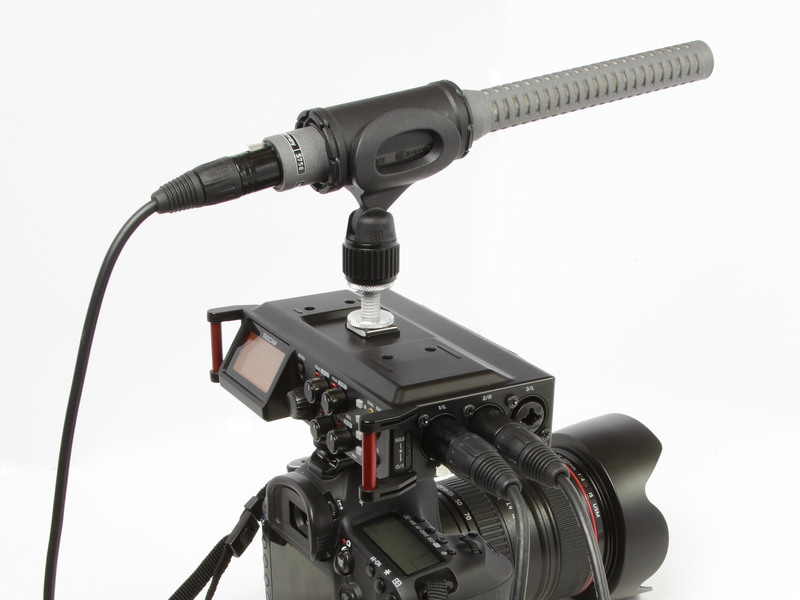 Additional mounting options also allow you to place a top mic or other accessory on top of the DR-70D. With its two built-in microphones, the DR-70D can record stereo ambient sound. 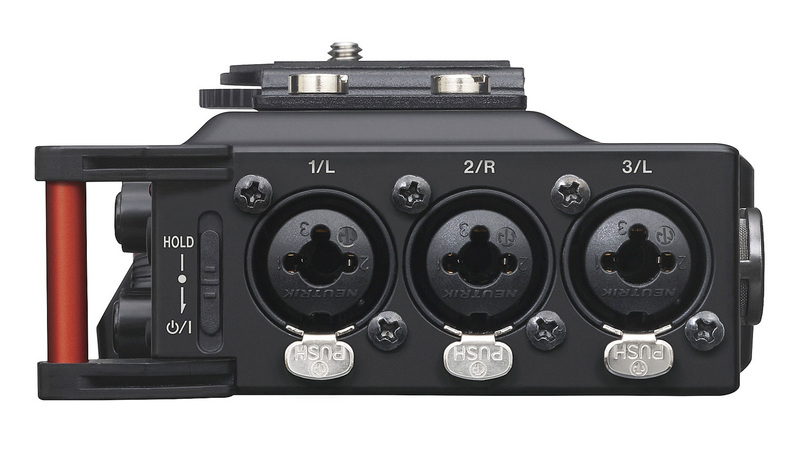 In addition, it provides four XLR/TRS combo jacks which can be used to record four channels of audio. 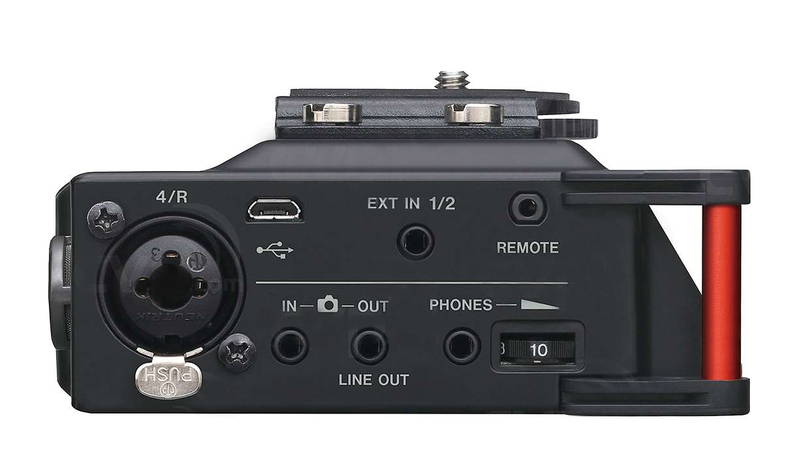 Thanks to a camera output the recorder’s stereo signal can be recorded also on the camera to ease subsequent editing of the material in combination with the slate tone function of the recorder. On the other hand you can use the camera input to monitor the audio of the camera using the recorder. Features of the DR-70D include overload-resistant, preamps with switchable low-cut filter and a limiter, handling of microphone signals in mid/side format, 24- or 48-volts phantom power for condenser mics, as well as many common and not so common functions that facilitate capturing, monitoring and subsequent processing of the audio tracks. 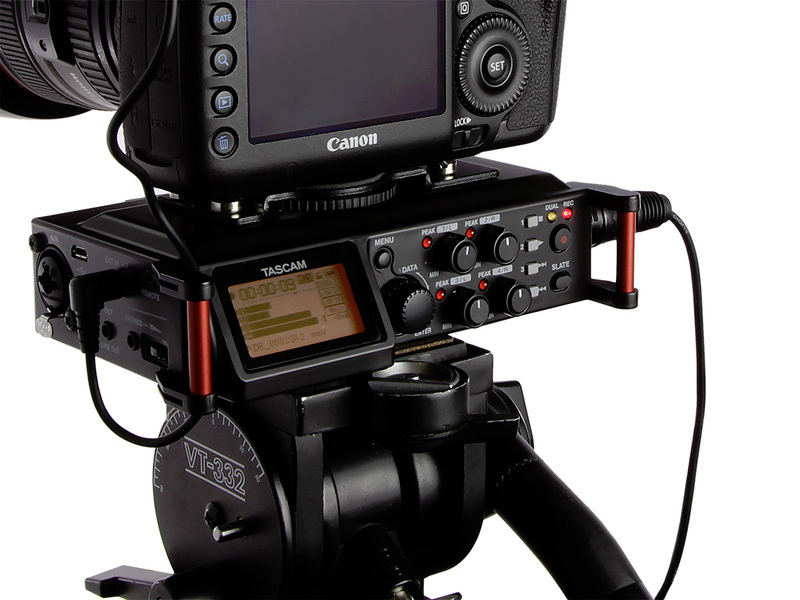 The DR-70D looks like a great solution for owners of cameras where audio functionality is not ideal. It could also be used on professional cameras like the Sony F5/55 as a mixer where audio control is limited to internal menus.